← Vindobona – Vienna or Vrindavan? Vrinda -Daughter of King Kedar? Each word in Map is clue to story of Great migratin in ancient time. To understand Germanic tribe let us check the history of ancient Ganjam or Orissa. In Photo gallery section I have hinted possibilites previously. Now let us check compact facts. These facts are clue to Germanic tribes. The first glimmering of authentic history of Orissa occurred A.D. 473, when the Yavana are said to have been expelled by Yayati Kesari, and in the following 650 years, until A.D. 1131, thirty-five rajas of the Kesari family follow. Their capital was then taken by a Ganga Vausa prince, whose dynasty occupied the throne until near the Muhammadan conquest. The Lingaraj temple – the largest of these is an outstanding specimen of the Orissa style of temple building. It is about a thousand years old. Bhubaneshwar, Konarrak and Puri constitute the Golden triangle of Orissa. Bhubaneshwar is also a revered pilgrimage center, referred to in the Bhrama Purana. The Bhrama Purana refers to Bhubaneshwar as the Ekamra Kshetra enshrining a crore Shiva Lingas. 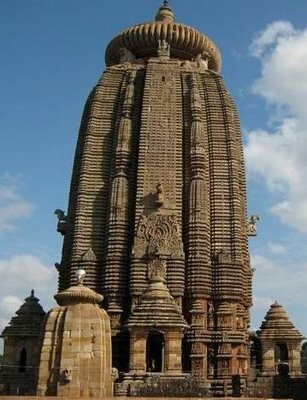 The Lingaraja temple is said to have been built first by the ruler Yayati Kesari in the 7th century who shifted his capital from Jaipur to Bhubaneshwar. Bhubaneshwar remained as the Kesari capital, till Nripati Kesari founded Cuttck in the 10th century. Indravarman I established the Ganga dynasty in Orissa by defeating King Indrabhattaaka of Vishnukandin. He made Dantapura his capital city. His period of rule between 498 A.D. to 562 A.D, is said to have been one of the most prosperous periods in the history of Orissa. The Gangas took over after the decline of the Somavamsis. The early Eastern Gangas ruled from Kalinganagara (Mukhalingam (Mikhail?) near Srikakulam Andhrapradesh). They shifted their capital to Cuttack in the 12th century. Saivism began to decline while Saktism flourished. Further, the religious leader Ramanujacharya had a great influence on the monarch Chodagangadeva who built the great temple at Puri. The Gangas were champions of Vaishnavism. It was during the Ganga rule that Orissan architecture reached its peak. 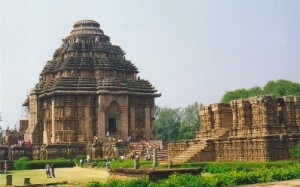 Narasimhadeva of this dynasty built the Sun Temple at Konark.. The Gangas were succeeded by the Suryavamsi Gajapati rulers, under whom Vaishnavism in the form of Jagannatha worship reached new heights. 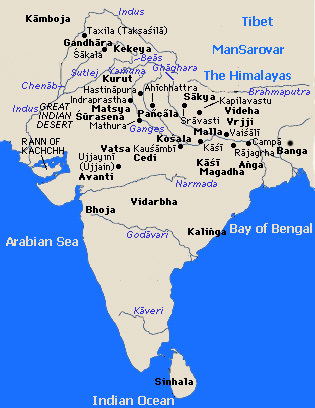 The Gajapatis were a Medieval Hindu dynasty that ruled over Kalinga (the present day Orissa), large parts of Andhra pradesh and West bengal, and the eastern and central parts of Madhya pradesh and the southern parts of Bihar from 1434-1541. Gajapati dynasty was established by Kapilendra Deva in 1434. During the glorious reign of Kapilendra Deva, the first Gajapati king, the borders expanded and the king took the title of Sri Sri … (108 times) Gajapati Gaudesvara Nava Koti Karnata Kalvargesvara. This title is still used by the kings of Puri during the Ratha Yatra. The title is clue to European history. In spain most rever carry suffix “ Gaud”. There is Minho river too there in spain. Their palace is called Brindavan palace. We had Vindobona in Austria. Karnata is a word freguently used in Europe. And Kalvargesvara is clue to northrn Uralic Europe. The significant rulers of this dynasty were Purushottam Deva (1467–97) and Prataprudra Deva (1497–1540). The last ruler Kakharua Deva was killed by Govinda Vidyadhara in 1541, who founded the Bhoi Dynasty. After the decline of the Gajapatis, the kingdom began to disintegrate and was taken over by followed by Muslim rule, the rule of the Mughals, the Mahrattas and then the British. The Bhoi Gajapatis who ruled Orissa over a small territory caused several Jagannatha temples to come up. After knowind facts about Indian continents now let us telly the facts with Germanic tribes. The Boii (Latin plural, singular Boius;) were one of the most prominent ancient celtic tribes of the later Iron age, attested at various times in Cisalpine Gaul (northern Italy), Pannonia (Hungary and its western neighbours), in and around Bohemia, and Transalpine Gaul. In addition the archaeological evidence indicates that in the 2nd century BC Celts expanded from Bohemia through the K?odzko valley into SIlesia, now part of Poland. JUlious Pokorny, who presented it as being from Indo-European *bhei, *bh, “hit;” however, not finding any Celtic names close to it (except for the Boii), he adduces examples somewhat more widely from originals further back in time: phohiio-s-, a Venetic personal name; Boioi, anIllyrian tribe.Boii would be from the O-grade of *bhei-, which is *bhoi-. Their memory also survives in the modern regional names of Bohemia (Boiohaemum), a mixed-language form from boio- and Proto -Germanic *haimaz, “home”: “home of the Boii,” and ‘Bayern’, Bavaria, which is derived from the Germanic Baiovarii tribe (Germ. *baio-warioz: the first component is most plausibly explained as a Germanic version of Boii. If we look at orissa then Maharaja of Paralakhemundi was the direct descendant of the historic dynasty of the Eastern Ganga dynasty Gajapati kings that ruled Orissa for more than seven centuries. During the regime of these kings, the boundaries of Orissa extended from the Ganges in the north to Udoyagiri in Nellore district in the South. There was Prar city in Europe , which now a days called Prague. Indian History says that Kalinga war fouhgt and won by Ashoka in 264-265 B.C. War history says that most probably Kalinga was Republic. There is no clear name of ruler of Kalinga who fought Against Ashoka. MOst probably Bhojas were ruling Kalinga. European history says that Bhojas were busy fibhting war in Europe. TheseBoii were part of a wave of Celtic tribes that included the Lingones and Senones (Polybius, Histories ii.17). The Boii may have helped sack Rome in 390 BCE. These historical date says that half of Bhoja were out in Europe at time of Kalinga war. If it was like this then one can look at Indian history in new perspective. Orissa has been considered to be one of the most important Shakti centre and Tara-Tarini at Kumari hills on the bank of River Rushikulya near Purushottampur in Ganjam District. 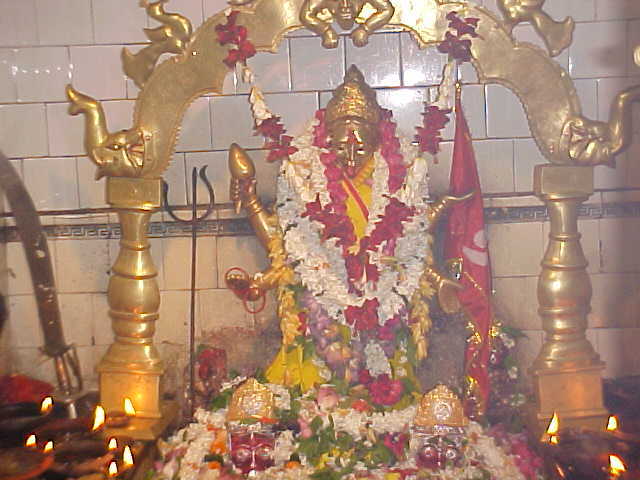 It is one of the most ancient Shakti pithas of Orissa. Pitha is situated on a hill top at a distance of 30 Kms towards north of Brahmapur on the south bank of river Rushikulya.. The picturesque scenery of the temple,from the hill top down to the bank of river Rushikulya gives immesse pleasure and a thrilling experience of nature and divinity to each pilgrim – visitor and often captivates its mind and soul. Goddesses Tara-Tarini have been regarded as the presiding deity(Ista-Devi)in almost every house in South Orissa. The mythological texts recognize four major Shakti Peethas, i.e. 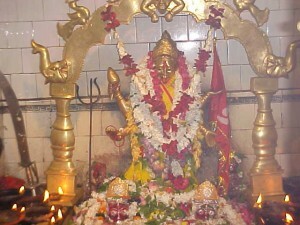 Tara Tarini (Stana Khanda)near Berhampur, Bimala (Pada Khanda) inside the [[Jagannath Temple (Puri), Kamakshi (Yoni khanda) near Guvahati and Dakhina Kalika (Mukha khanda) in KOlkata among the four Adi Shakti Peeths. Apart from these, there are 52 other sacred Shakti Peethas, which originated from the limbs of the corpse of Mata sati in the Satyuga. Now we find Tharapith in Estonia(Ishdevi?). There is also Pori town in Estonia. Estonia stand for Ishta devi? Scandanavia stands for Stan khand? Brahmapur (or old name Berhampur), nicknamed “The Silk City”, is a city located in the eastern coastline of Ganjam district of the Indian state of Orissa. The city’s official Sanksrit name was Brahmapur [or Home of Lord Brahma, but in the age of British India, it was changed to Berhampur (English name. Now this city is renamed as Brahmapur to retain its original Sanskrit name. .Oriya culture has been prominent in this southern city of Orissa since ancient times. Hinjilicut is a Town in Hinjilicut Tehsil in Ganjam District in Orissa State in India . Hinjilicut is 34.9 km distance from its District Main City Chatrapur . And 144 km distance from its State Main City Bhubaneswar . . According to local legend, there were many Hingal trees in this area. 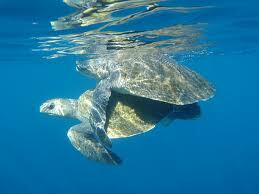 Gradually locality increased and the Hingal jungle was destroyed. Hinjilicut got its named from cutting of the Hingal trees. Helsinki is the Capital and largest city in Finland. It is in the region of Uusimaa located in southern Finland, on the shore of the Gulf of Finland, an arm of the Baltc sea.. The Swedish name Helsingfors is the original official name of the city of Helsinki (in the very beginning, spelled Hellssingeforss). The Finnish language form of the name probably originates from Helsinga and similar names used for the river that is currently known as the Vantaa River as documented already in the 14th century. 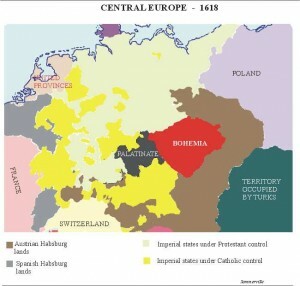 The name “Ukraine” or Ukrayina has been used in a variety of ways since the twelfth century. Today, it has the official name of Ukraine, a country in Easter Europe. Treated as two juxtaposed vowel sounds, with some phonetic degree of an approximant between that may or may not be recognized phonemically. This version of pronunciation is sometimes represented orthographically with a dieresis, or tréma (for example, Dutch Oekraïne or Ukraïne, an often-seen Latin-alphabet transliteration of that is an alternative to Ukrayina). This version most closely resembles the vowel quality of the Ukrainian version of the word. This treatment is sometimes heard or seen in German and French, although it may not be regarded as standard in those languages. Rushikulya river is one of the major rivers of Orssa State (formally spelled Odisha),India. It meets the Bay of Bengal at Puruna Bandha, Chhatrapur block of Ganjam district.It originates from the Rushyamala hills of the Eastern ghat in Phulbani in Kandhamal district. It is 165 km long with 8900 km2 of catchment area. Its tributaries are the Baghua, the Dhanei Badanadi etc. It has no delta as such at its mouth.In 1993, biologists from the Orissa Forest Department and the Wildlife Institute of India learned that large scale nesting of Olive Ridley Turtles was taking place near the mouth of the Rushikulya river. While originally, the name Rus referred to the people, the region, and the medieval states (9th to 12th centuries) of the Rus Khaganate and Lievan Rus polities. The toponym is also the source of the Ruotsi, Rootsi, the name of Sweden in Finnish and Estonia. The modern name of Russia (Rossiya), which came into use in the 17th century, . “Rus'” as a state had no proper name; by its inhabitants it was called “rusiska zemlya”. (with rusiska alternatively spelled russka, rus’ka, and most often ruska), which might be translated as “Land of the Rus”. The word “rusiska” is an adjective: the morpheme -isk- is used to form adjectives in Slavic. Yes ,the Russian people ( russkiye) are an East Slavic ethnic group native to Russia,speaking the Russian language and primarily living in Russia and neighboring countries. The English term Russians is also used to refer to the citizens of Russia, regardless of their ethnicity; the demonym Russian is translated into Russian as rossiyanin (???????? ?, plural rossiyane), while the ethnic Russians are referred to as russkiye (russkiy). According to the 2002 census, ethnic Russians make up about 80% of the population of Russia. Don’t feet there is similarity between Rushikylya and Rusiska? Stana Khand (Taratarini) and Scandinavia?